Before I had children, I had this dreamy idea of playing happily in the garden with my smiling (never ever crying) baby. 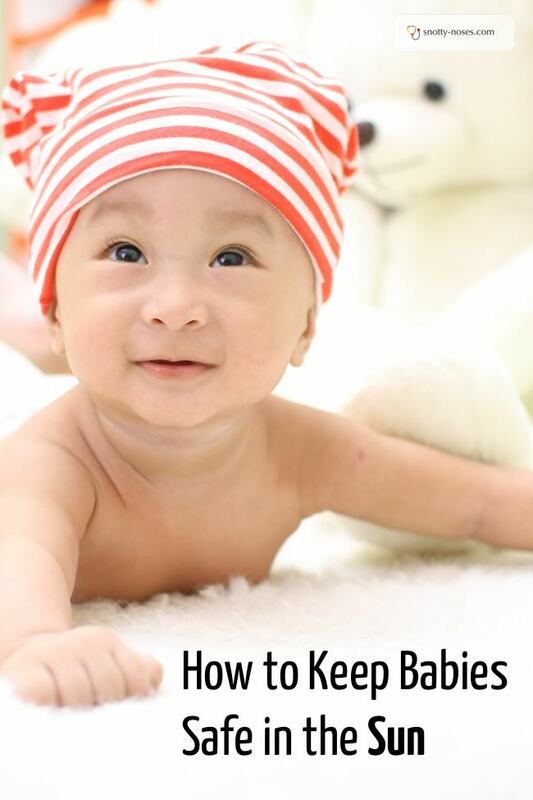 It is great for babies to be outside and to enjoy the lovely weather, but it's also important to keep your baby safe in the sun. Babies are very delicate and their skin is so brand new. It is easy to under estimate how dangerous a little bit of sun can be. It's much better to err on the side of caution. The main risks to babies during hot weather are sun burn, dehydration, heat illness (which includes heat exhaustion and heat stroke) and later in life skin cancer. Keep babies in the shade as much as possible. Babies under 6 months of age should not be in direct sun light. Accessories such as buggy shades or parasols are useful and if you're going to the beach, you can get sun protection factor (SPF) tents. Stay out of the sun in the middle of the day when the sun is hottest (11am - 3pm). Think about what your baby is wearing, sun hat (broad rimmed is best as it covers the neck too), light clothes, or at the beach a SPF suit is great. Sun glasses too (if you can get them to keep them on.) You want ones with 100% UV protection. Use sunscreen regularly, children's sunscreen are normally 50 or above. If you're going swimming use water proof sunscreen and remember to reapply it regularly and generously. In order to avoid dehydration, offer your baby drinks frequently. If they're breastfed, breast milk is great (you'll probably find that they want more anyway.) If they are bottle fed, they can have some cool boiled water. If they're a bit older, they can have frozen fruit or fruit juice. Offer them food that is high in liquid content such as fruit and salad (cucumber for example). Water is a great way to cool down so activities such as swimming, playing in a paddling pool, with a sprinkler, will all help. A cool bath before bed time is a great idea. Allow them to dry without a towel will keep them extra cool. Keep their bedrooms cool. During the hot hours of the day, keep the curtains closed to stop the sun from heating it up. If it's safe, keep the windows open to allow a breeze in. Keep bed clothes to a minimum. If it's really hot, babies don't need much more than a nappy at night time. Every year babies die from being left in hot cars. Use the air conditioning or open the windows and try to park in the shade. 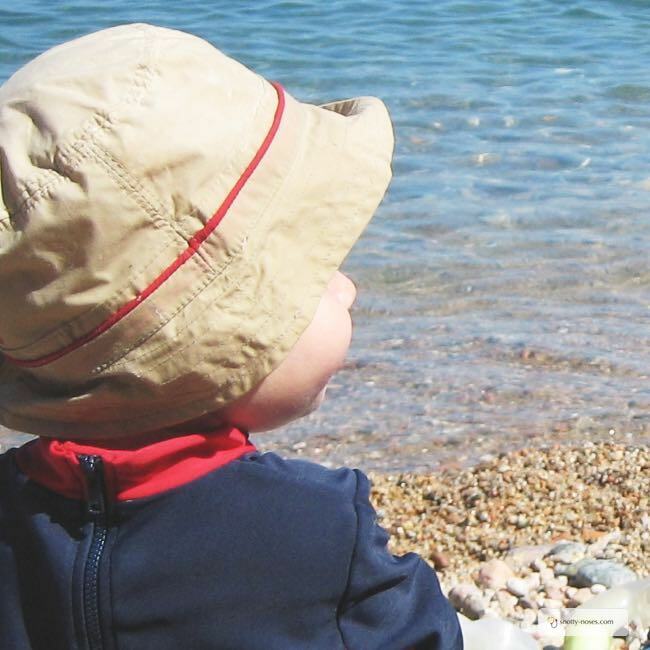 As long as you're sensible, and keep your baby safe in the sun, your baby can have a fantastic time in the summer or on holiday.